US Kids distance for boys 11 is 5000, and most red tees are 5500. I'm still researching his next clubs, and adult clubs are categorized as low, mid and high handicapper. You can only do this if there is a slope and course rating for the tee box played. Another strike against US Kids... how many strikes until we call them "OUT!"?? What does your son shoot and what are his average distances for driver and 7. If he is a pretty good player, there are tons of options out there for him to get fit with. I wouldn't worry how manufacturers categorize certain clubs. I mean he won't be playing MB blades, but I think everything else is fair game for an 11 y/o. As far as clubs are concerned, that’s not how fitters fit people into clubs. I'd stick with MPF ratings without any other information. If they are not tall enough to play standard length clubs, the entire process seems more like a preference exercise. I mean he won't be playing MB blades, but I think everything else is fair game for an 11 y/o. Miura Baby Blades...playing at D7...with cut down hard-stepped X100s...for my 5 year old....3-PW. He's been shooting mid to high 70's. Distance for 7 iron is 105 in winter and 115 in summer. Driver is 170 in winter and 190 in summer. He's 57" right now and his next set will be adult clubs for sure. I feel like the Flynn clubs are holding him back right now, and I keep telling him to slow down his swing otherwise the ball goes everywhere. Yes, I will get him fitted this year, but just wanted to know ahead of time and educate my self as much as possible. There's so much wrong information out there I sometimes get appalled. Just few weeks ago, I had to argue with a worker at a local golf-mart when I asked to cut down a putter by 3"
The problem with these articles is the ambiguity. What is considered "Advanced" or "Intermediate"? Even going with MPF rating, it doesn't give a good starting point. I've contacted US Kids and they tell me that their irons are considered "Conventional". Does this mean we should get "Conventional" adult clubs? I feel like his current Flynn clubs are even less forgiving than US Kids. Anything other than a center strike gets punished with a dead thud sound. 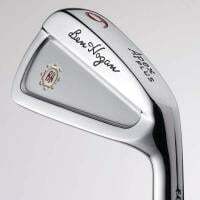 Playing the GAPR Lo 2 iron for the driving iron or did you go Honma? He's 11 right? If so, distances seem a bit short from what I see, but that's not a big deal. Go to a local fitter and check out some different head/shaft combos. Unfortunately, the fitter may not have the optimal shaft for your son so you will need to experiment some. This could mean buying heads or building a few test clubs with different shafts. I know it sounds crazy. Just from what I've seen, kids have had pretty good results with the UST recoil F0/F1 shafts in irons. My son went with the KBS steel shafts and he likes them. To answer OP's question, my son gets a complimentary handicap through my men's club as a junior member. If you're a member of a club just ask the handicap chair if they have complimentary junior handicaps. They usually reserve them for the high school kids but it never hurts to ask. Play 9 holes and he enters it into the app. Play in a tournament with real yardages (rating / slope) listed on the site and he enters those. But his handicap has nothing to do with what clubs he plays. GAPR 2 kind of floated on him around 225 yards or so. The ball seemed to fall out of the sky. Perhaps it was the Tensei Pro Orange TX that caused him too much spin. Plus...my dude likes to hit milky butter cuts with his cut down MP-33 2 iron. 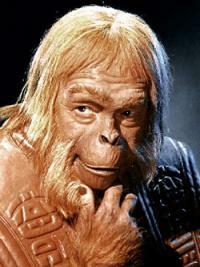 Off the tee...he pokes it out there in the 230 range on a rope....looks up at me...and says..."Silky". Baby blades are pretty but MB-001 is fine. He doesn’t need to go all out baby blades until he’s 10. Well, I would say a USKG club is GI or SGI. Sounds like you need to see a fitter. On offset alone, tour series irons are definitely not SGI. Their yard club is SGI. I would say ultralights are definitely GI and tour series are less forgiving than ultra series. I think TM lines offer an easy progression. M4/6 are SGI, M3/5 are GI, then you get into the P series which start a little less GI than M3 (p790) all the way down to the blades p730. Personally, I would never get my child started woth an M4/6 iron (hides way too many swing flaws) and are built to just go as far as possible for each respective iron. The best advice is coming from Kekoa on this one. His kid wins everything for a 9 year old. He's still 8 and has played adult clubs for about 2 full years now. I'd be lying if there wan't a learning curve starting out, but he has adapted very well. Mrshina, look at the TM p770 irons. Forged and very nice profile. With the new models out, they can be had pretty cheap. Yes, right now I'm eyeing the 760, 790 and the M5s. I already have a fitter in mind, but again I want to know ahead of time what to expect. 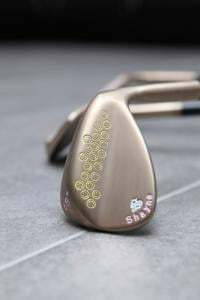 The ladies shaft is only offered on the M5s, so going by shaft alone that would be the club, but don't want to lose all the "experience" gained from playing "conventional" clubs and go down to crutch "SGI" clubs. I like the gapping on the 760 more than the latter two. Right now his spacing is exactly 10 yards, and very predictable, and I'm not sure what the spacing is going to be with distance irons. His friend got upgraded to M3s last year, and his dad was happy with the distance gain. TBH, I don't think that's such a good thing if you know what I mean. I did have him try out the 760 with senior recoil, and was surprised how much he liked the forged "feel". I know a kid that plays p790 with senior recoil. He hits it well. Benefit with forged is that you can adjust lie a lot easier. You may want to look at used cavity forged clubs and buy the shafts separately and have them built to your specs. If you’re buying new, you can’t beat TM with AJGA discount. I would look for demo days in your area. A lot times they even have a free trackmam to fit the clubs. Nothing beats hitting irons and seeing ball flight. If you have a course you frequent or a range that sells clubs see if they can build a loaner club for you as well. You can try different shafts and clubs and even take them out o. The course. If that doesn’t work try going to a fitter and don’t trust pga superstore or anything like that. They will just sell you what they have on the shelf if they can or look at you with a blank face because you want a kid to have something different then kids clubs. Which fitter carries shafts cut down for anyone under 60”? Good luck and let us know how it goes. 760’s are nice but i liked the longer heel to toe shape of the 770’s. Im weird like that. Id steer away from the m5 shovels. I can imagine turf interaction on firm conditions would be horrible with those. We are in the midst of our first adult club fitting. During the first three sessions the fitter has only focused on finding the right shaft for him. We are close to finalizing on the Recoil version for his irons. The point being that the fitter was less about the club head and more about the shaft. He felt getting length, weight, flex and other attributes corrredt were more important than choosing the head. We are likely going to go with new Apex Forged.- it is going to cost a packet but hopefully the heads can last a few years. He used to play in USKIDS 57s prior to this for irons and I had built him a Driver and woods. Yup I've already looked at those as well, but at well over 80grams, it's a bit much for my son. They might be better suited for 12~14 year olds, or juniors with much faster swing speed. Which recoil did he end up getting?